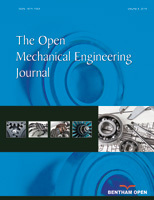 In order to validate the performance of the AMT (Automated Mechanical Transmission) control system by simulation experiment, a simulation model that can express the dynamic characteristic of the automotive power system during every phase of the vehicle driving process based on the finite state machine was proposed. Then a hard-in-loop half-real simulation system was established taking the simulation model as kernel. It was shown by the results of simulation experiments that the model could simulate the automotive power system effectively and could be used to evaluate the AMT control system.